BBVA Bancomer’s efforts to secure its place in the digital banking sphere have taken several years, but an important breakthrough in 2014 saw it become the first Mexican financial institution to create an executive-level digital banking division. The new division was set up to provide the bank’s more than 18 million clients with a superior banking experience. Over the last three years, BBVA Bancomer has been investing in hardware, technology and new working methods to develop a mobile app. The customer-centric solution gives clients access to the bank in the palm of their hand. By going mobile, the bank is able to support customers at all times, helping them make better financial decisions in their daily lives. One of BBVA Bancomer’s key strategies when improving its digital banking capabilities has been the use of data analysis to cultivate in depth customer knowledge. By using new technology such as cloud computing and big data, the bank is able to analyse real-time information and offer solutions that are specific to each customer. The combination of insights from metadata and the bank’s long-standing financial experience, BBVA Bancomer’s services have shifted from transactional banking to relationship banking, allowing it to meet each client’s needs more accurately. Today, peer banks are not BBVA Bancomer’s biggest competitors. Instead, young and agile fintech companies are benefitting from employees with a different skill set and a new approach to the market. These new players have been focusing on their clients’ behavioural and consumption patterns and, as such, are developing strategies that place great value on customer experience. In order to remain relevant in this climate, the BBVA Bancomer is developing innovative solutions centred on clients’ needs and quality customer experience. 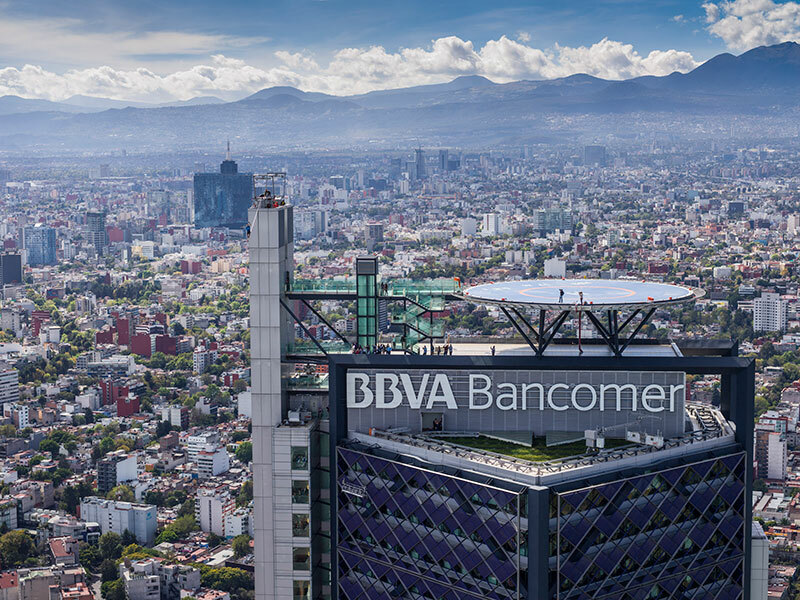 BBVA Bancomer has maintained its leading position in the Mexican banking industry by listening to and understanding the new generation of customers. It has developed a series of digital products and services that meet the expectations of young, digitally native generations. The cornerstone of BBVA Bancomer’s digital services is Bancomer Movil, a multi-platform mobile banking app that offers multiple banking services in one place. This app enables efficient account management in a user-friendly environment. Clients can check their balance, transfer money and pay referral services. The app also has ‘one click’ services such as Prestamos Disponibles (Available Credits), which shows the pre-approved credit loans available to customers based on their credit history and score. BBVA Bancomer also offers cardless withdrawals from its ATM network using a code sent directly to the customer’s phone. By developing these vertical solutions the company is able to take advantage of digital developments, keeping customer satisfaction in mind at all times. As well as Bancomer Movil, BBVA Bancomer has produced the BBVA Send app, which allows clients to send money using the recipient’s phone number. Another app developed by the bank is BBVA Wallet, which lets clients make safe online purchases by creating a temporary digital account linked to the customer’s bankcard with a dynamic CVV number. Another vertical solution is BBVA Plan, which supports clients in creating personalised savings plans based on goals and timescales they can set. Bancomer Movil, the first digital banking app in the Mexican finance market, has improved financial inclusion in Mexcio as, no matter how isolated their location, customers can always access their accounts. Users can set up their account on the app without having to go to a branch. As such, the bank is able to reach a segment of the population that has historically been excluded from entering the formal financial system. Another important feature of Bancomer Movil is CheckUp, which provides users with a log of their financial behaviour and an indication of the health of their finances. By making use of the 85 years’ experience BBVA Bancomer has accumulated, the bank is able to give sound financial advice to its customers so they can improve and maintain good credit scores. The financial world evolves every day. Non-financial players are constantly offering new products that are better suited to people’s needs. However, BBVA Bancomer is not prepared to be overtaken by newcomers, and so the bank continues to strive to stay at the forefront of digital developments. By interacting with customers, being attentive to their needs, working side-by-side with other companies and keeping up-to-date with technological change, the bank will adapt to the new banking landscape.